Carol Lee Shanks designs and handcrafts clothing and textile art pieces. 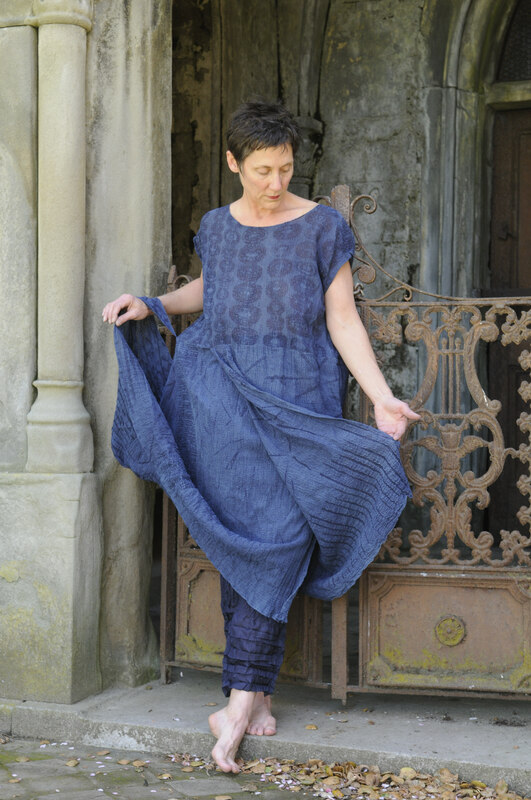 She has a great reverence for cloth allowing it to be the foundation of her inspiration. 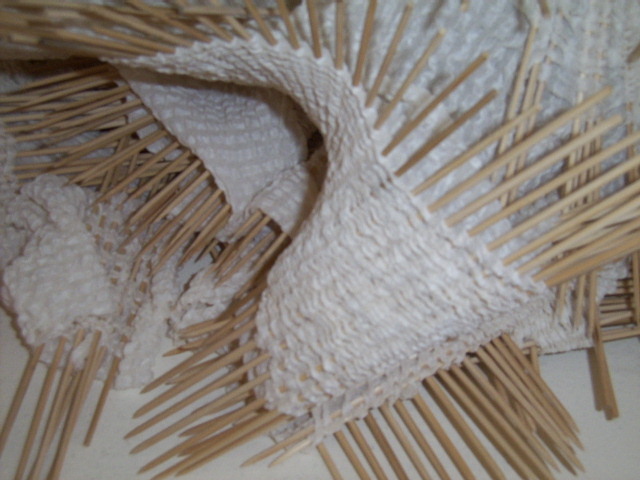 An integral part of her work is manipulating the cloth to create different surface textures. By layering opaque and transparent elements, then stitching, piercing and wrapping them, she is able to transform flat, linear shapes into dimensional silhouettes. When suspended on the body or within a room, her work becomes moving sculpture. 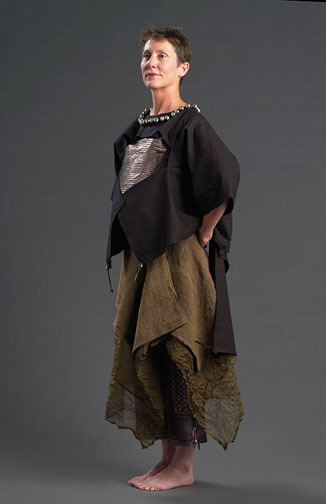 Carol has a degree in Textile and Costume Design from the University of California at Davis. She now works and exhibits her clothing and artwork from her Berkeley studio. 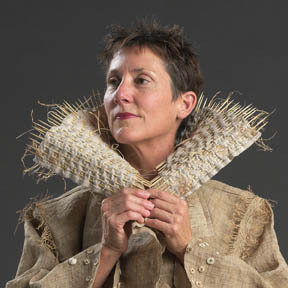 Her work is shown and sold in galleries throughout the US and has been included in international shows and fiber art publications.